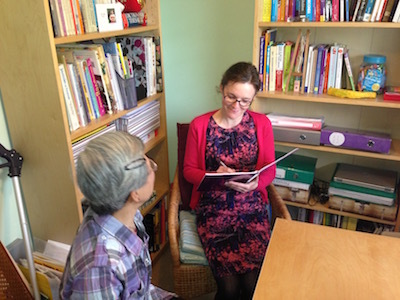 I am available either in person (in Sussex) or via Skype to assist families and schools. As a qualified and experienced teacher and consultant, I have a range of expertise that I am always keen to share. If you are not sure if your concern is an area with which I can help, please either consult my 'About Us' page where my experience and areas of expertise are listed or please contact me. My hourly rate is usually £50. Please get in touch if you require my rate for home-educating families. For schools, I am available to deliver training to small groups of teachers. Please contact me to find out about the ‘Renzulli’s Rocket’ session which is designed to help teachers effectively provide for more able students. Susannah, thank you for your help in nurturing our daughter's talents. Your support was very insightful and helpful...I look forward to discussing her development again in the future. Susannah's advice was absolutely excellent. Her genuine interest in the issues we were facing and the skill and energy with which she helped us plan how best to address them were exceptional. The cost is incredibly reasonable and my wife and I couldn't recommend her highly enough. Just a quick email to thank you for your response and for all your support...You are very kind and encouraging and it is greatly appreciated. Susannah, writing 'thank you' is such an understatement in comparison with all you have done...I really appreciate it and will never forget it. Susannah has been amazing!! I couldn't have asked for better...she was always available to suggest appropriate advice. A calm voice of reason at the other end of an email...clear guidance...gave me confidence and support at difficult times. ...always very reassuring and positive even when I have been worrying...really really good and much appreciated. Id also like to take this opportunity to say thank you for all your support and help...you have been a tower of strength and each contact left me feeling reinvigorated and more positive. Thanks for all your help, support & innovative ideas.